Back when the first trailer dropped for Michael Bay's Transformers: Dark of the Moon, the final shot included a new, bearded transformer that nobody seemed to recognize. After guessing Unicron or Magnus, we finally settled on Alpha Trion, but that wasn't right either. 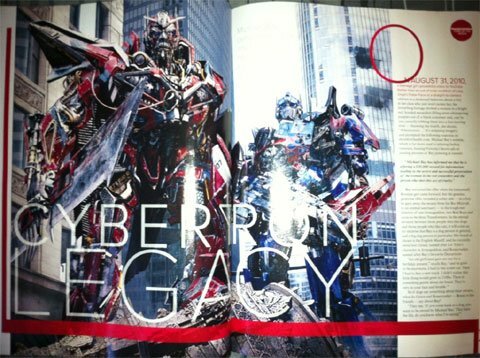 Turns out that it's Sentinel Prime and today brings the first full shot of him. 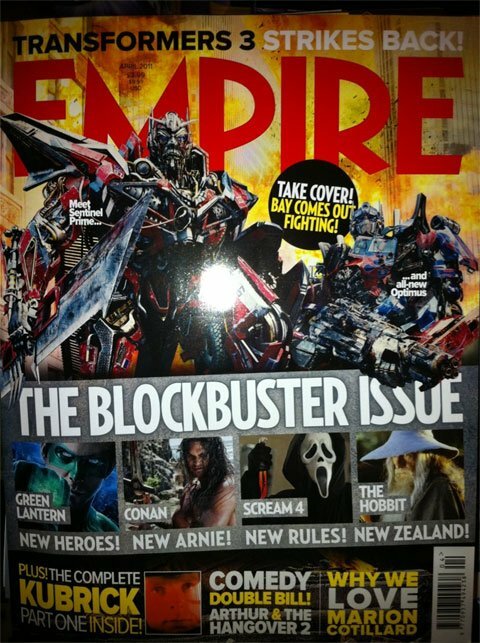 Fansite TFW2005 has posted scans of the new issue of Empire that not only includes an image of Sentinel, but also the new Optimus and Major William Lennox leading his group of soldiers. 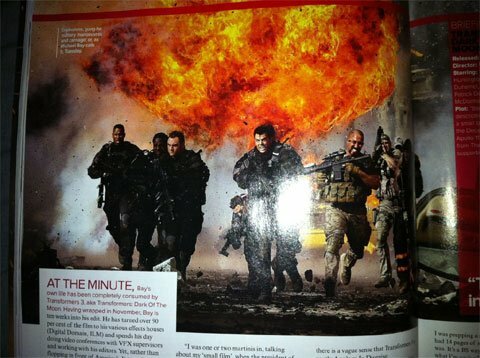 The article also includes some extra details about the upcoming blockbuster sequel, but I've put them below the images just in case of spoilers. Check out the images and tidbits below (as well as a comparison screenshot from the trailer)and be sure to head over to TFW2005 to see the images in high-res and see all of the new factoids.